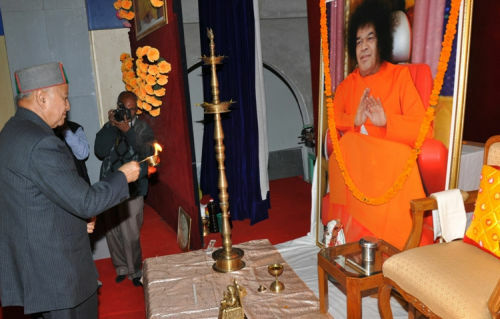 Chief Minister Virbhadra Singh said that Sri Sathya Sai Baba School and temple complex ‘Anand Vilas’ at Pujarali near Shimla was a dream project of Sri Sathya Sai Baba and the students studying in this institute were fortunate as they were getting quality education in spiritual and serene environment. Chief Minister was presiding over the inaugural function of three-day State Level Conference to commemorate the Sai Baba’s visit to this temple three years back on 15 April, 2010. He inaugurated the function by lightening the lamp amidst chanting of ‘Ved Mantras’. Virbhadra Sigh said that this conference bears special significance as it aimed at taking further Sri Sathya Sai Mission- “the service to Man is the service to God”. 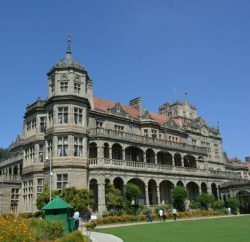 He said that Sri Sai Baba opened various reputed health and educational institutions in the country especially at Puttapurthi and Banglore and the people of Himachal Pradesh were also blessed with the opening this premier educational institute at Shimla. Chief Minister said that Sai Baba had crores of followers worldwide, who were carrying forward the message of humanity and universal brotherhood. He said that Baba had special love and affection for the people of the State and he visited the State many times. There were thousands of devotees of Sai Baba in Himachal Pradesh who were devoted to the service of mankind. He expressed hope that this institute would further flourish in the coming years and more and more students would be benefited. He also appreciated the efforts of Dr. Shyam Sundar, State President, Sri Sathya Sai Sewa Organisation, members of the management committee and devotees for organising various activities in the service of mankind. Earlier, Chief Minister also performed ‘pooja’ at the main temple of Sri Sathya Sai Baba. He also honoured the teachers of Sri Sathya Sai School and office bearers of Sri Sathya Sai Organisation for their exemplary services. Dr. Shyam Sundar welcomed the Chief Minister and said that Sri Sathya Sai Baba visited Shimla in 1973, 1975 and on 15 April, 2010. During his last visit, he inaugurated Anand Vilas and other buildings of the complex at Pujarali. 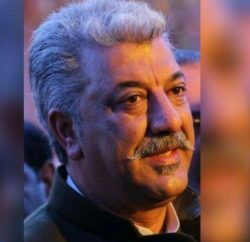 He said that Sai Baba’s dream for opening educational institute in Shimla was realised due to support and cooperation of State government headed by Shri Virbhadra Singh. He said that this institute was very dear to Sai Baba and he himself named it as Anand Vilas. A cultural programme depicting spiritual messages and devotional songs of ‘Sarv Dharma’ was presented by the students of Sri Sathya Sai School. 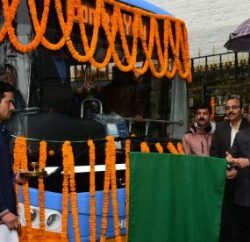 Chief Secretary S. Roy, Advisor to Chief Minster T.G Negi, Deputy Commissioner Dinesh Malhotra and other senior officers and dignitaries were present on the occasion.